Emerald Waterways, Europe’s newest deluxe river cruise company, announces its exciting 2016 season offerings detailed in a 60-page Preview Brochure, complete with expanded choices for itineraries, enhanced shore excursions and more opportunities to customize experiences with optional extensions and the Discover More program. Early planners enjoy the valuable rewards of locking in 2016 sailings at 2015 prices, for a guaranteed savings of $1,000US/CAD per couple on 12- to 15-day cruises or $500US/CAD on eight- to 11-day sailings when booked by May 29, 2015. 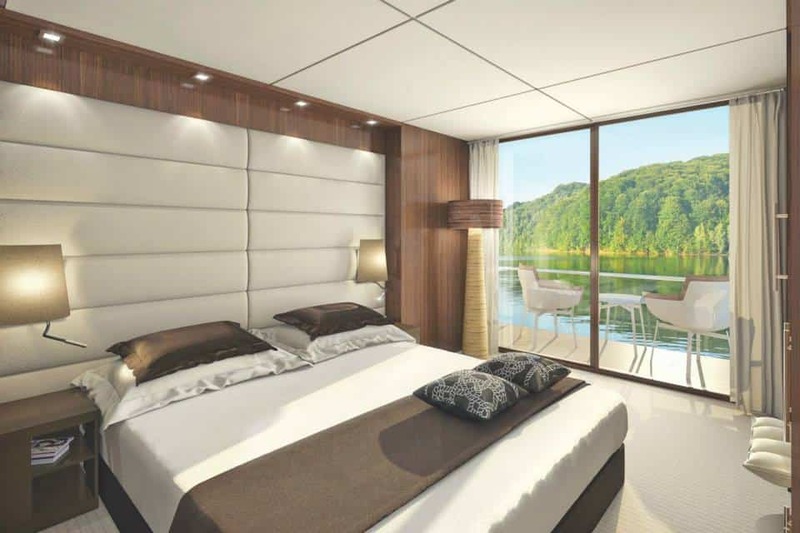 Having been awarded “Best New River Ships” by Cruise Critics Editors’ Picks 2014, Emerald Waterways will launch the Emerald Belle in early 2016 as the newest addition to its fleet of sleek contemporary Star-Ships, praised for their innovative highlights and modern approach to river cruising. The brochure can be ordered on line or downloaded at www.emeraldwaterways.com/brochures. The Terrace for breakfast and lunch; and a new type of cabin design that replaces the run-of-the-mill French balcony, common to most ships, with an indoor balcony featuring a decked area and an ingenious open-air system. With a push of a button, guests can lower the upper half of their floor-to-ceiling panoramic window to allow an open-air opportunity; top suites separate the balcony from the cabin with glass folding doors. Ships also feature an onboard hairdresser, massage therapy room and fitness area. 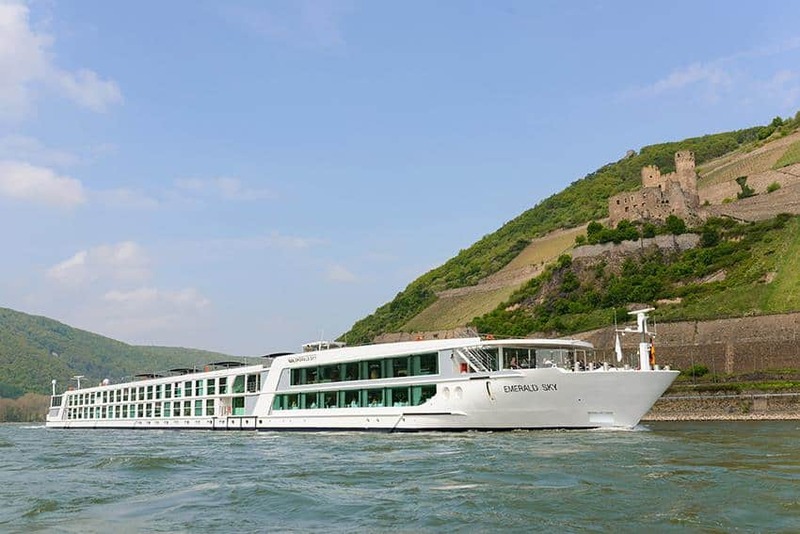 Emerald Waterways will offer eight itineraries in 2016, including eight-day, Nuremberg-to-Budapest “Danube Delights,” a journey of discovery through the ‘Old Europe’ of ancient abbeys, stately palaces and historic landmarks left in the wake of WWII, priced as low as $2,305US/$2,245CAD, double occupancy with early booking. The 15-day “Splendours of Europe,” from $3,525US/$3,385CAD to $9,290US/$9,165CAD per person with early booking, weaves through vine-covered slopes dotted with charming churches and storybook castles along the Rhine and the Danube from Amsterdam to Budapest. “Enchantment of Eastern Europe” is a 10-day discovery journey via the Danube River through Serbia, Bulgaria and Romania – previously war-torn areas where damaged architecture is preserved in honor and monuments are built in memory; early-booking priced at $2,785US/$2,930CAD to $5,480US/$5,395CAD. “Delights of France,” is an 11-day voyage from Lyon to Arles along the seductive Rhone and Saône Rivers, passing through Chalon-Sur-Saône, Tournon and Avignon – highlighting sophisticated cities, vibrant market towns and cozy villages. Prices are $3,235US/$3,125CAD to $3,975US/$3,930CAD with early booking. As part of Emerald Waterways’ commitment to help guests customize their itineraries, the Discover More program introduces a variety of ways to more fully explore specific attractions, delve deeper into cultural themes and actively participate in popular activities. In Vienna, for instance, guests may tour Schönbrunn Castle – the former summer residence of the Habsburg Empire and a UNESCO heritage site – considered one of the most beautiful baroque palaces in Europe. Salzburg, the birthplace of Mozart and setting for the Sound of Music movie, comes alive as a historically industrial city where salt was hauled through narrow streets like the “Getreidegasse” (Grain Lane). Other Discover More opportunities include full-day tours of Rothenburg, described by Rick Steves as “Germany’s Fairy Tale Dream Town.” Or a private concert with complimentary champagne in one of Vienna’s premier concert halls for a quartet of opera, symphony, ballet and stage performances. To enhance guests’ experiences even more, the EmeraldPLUS program offers authentic insight into European culture – like a visit to the home of a local Slovakian family for afternoon tea in Bratislava, or a cruise through Amsterdam’s maze of canals. And for those who want to explore on their own – either at their originating or final destination – Emerald will arrange a stay at a centrally-located hotel on a bed and breakfast basis. Additionally, hotel accommodations purchased directly from Emerald include transfers to or from the ship/airport to the hotel. 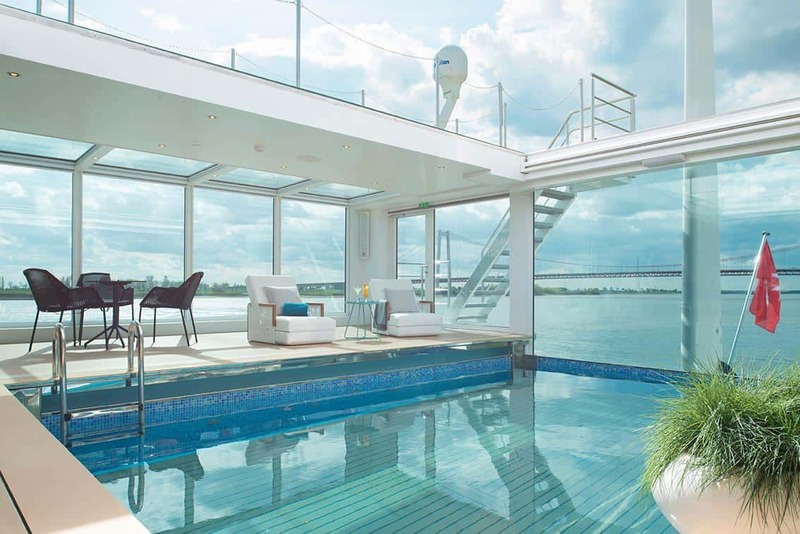 Launched in 2014, Emerald Waterways caters to the four-star-plus market by using five-star ships and service and a nearly all-inclusive pricing plan. The company’s approach is to minimize guests’ concerns about daily budgets or mounting costs. The cruise fare includes all transfers; all onboard (and some on-shore) meals; unlimited tea and coffee; wine, beer and soft drinks with lunch and dinner; bottled water in the cabins; continental breakfast, pre-dinner canapés and after-dinner sweet treats served in the top suites; WiFi onboard the ship, most shore excursions; bicycles to use for independent touring, and more – as well as all gratuities, a savings of up to $675 per couple on 15-day cruises. As part of the Scenic group of companies, Emerald Waterways is backed by the award-winning expertise of the world’s leading luxury river cruise operator. Additional information can be found by contacting your travel agent or on Emerald Waterways’ website, www.emeraldwaterways.com; US consumer/travel agent reservations line: 855-222-3214; Canada consumer reservations line: 855-444-0161; Canada travel agent reservations line: 855-265-2899. Brochure orders may be placed on the website, or a digital downloadable version is available.